A leading North American Food Distributor faced rising energy costs and imperiled profitability. 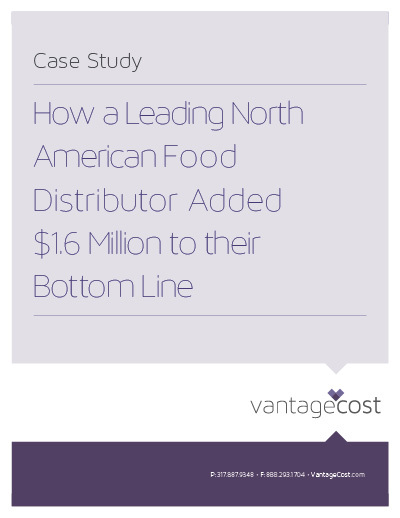 Vantage streamlined its supply chain, eliminated 98 suppliers and added $1.6 million to their bottom line. • Examined expenses in 9 categories. • Saved nearly $1 million in just one category alone. • Eliminated 98 suppliers in the process.